Accor Hotels – Save up to 30% off around the world! * Book by January 31st, 2015 for weekend stays until 2015! Marriott – Up to $50 daily hotel credit. Marriott include Ritz-Carlton, Bvlgari, JW Marriott, Edition, Autograph Collection, AC Hotels by Marriott, Moxy Hotels, Marriott Hotels, Courtyard, Springhill Suites, Fairfield Inn & Suites, Protea Hotels, Residence Inn, Towneplace Suites, Marriott Executive Apartments, Gaylord Hotels and Marriott Vacation Club. Book three nights in Paris and receive complimentary daily breakfast, one-way private airport transfer, early check-in and late check-out (when available), and VIP benefits and shopping discounts at La Vallée Village. 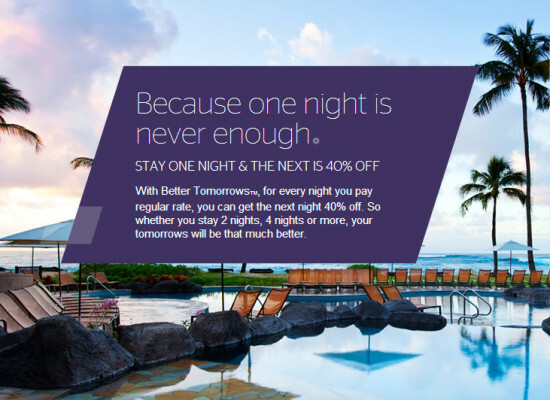 Starwood – 40% off the 2nd night. Venere – Save 10% off hotel bookings for the rest of 2014! Support us and book with Venere. * The Flight Deal will receive a commission if you use the accommodation or apply and is approved for a credit card using our links above. Thank you for your continuing support.